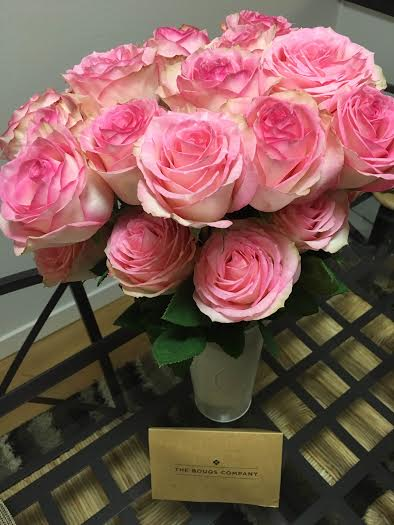 I’m seriously obsessed with The Bouqs Co. One of my BFFs recently turned 30 and I wanted to send her flowers for her birthday – but most floral delivery companies charge you a buttload for delivery services alone. Case in point: I always send my mom flowers for Mother’s Day or her birthday, which supposedly cost $50. Add in shipping, however, and I usually end up spending nearly $100 total. Unlike commercial growers, The Bouqs Co. sources their blooms locally and include the shipping fee in whatever cost you see online – so if you see a bouquet you like for $40, that’s all you’ll be paying to send those flower to anyone within the United States. Of course, for my bestie, I opted for the “deluxe” bouquet and added in a vase (because how many of us actually have a cute vase on hand?) but the Bouqs Co. has several custom options. Now on to the fun part. The Bouqs Co. cuts your flowers to order, meaning these beautiful blooms aren’t plucked until you buy them. All flowers are locally sourced from sustainable growers, but the volcano roses are my favorite. Grown on an actual volcano 10,000 feet above sea level, these flowers receive more sun and nutrients in the soil, resulting in colors exceeding anything commercial florists have to offer. 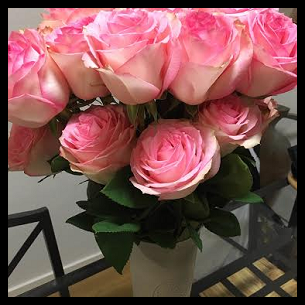 Even my friend, who will be the first to tell you if any product is sub-par, loved the roses she received (pictured here) and said they were unlike any flowers you’d find at a regular grocery store or chain shop. Not only are the flowers out of this world, but the best part about The Bouqs Co. is that they source flowers from eco-friendly, sustainable farms that care about their workers. In other words, the farmers are provided healthcare, childcare, adult education, and livable wages; and each “bouq” you purchase is benefiting a community that works hard to provide us with the best flowers possible. If you’re a “Shark Tank” nerd like I am, you’ll probably recognize The Bouqs Co. as one of the many companies who didn’t receive an investment from the sharks. But what I love is that this company has adhered to its vision of affordability, sustainability, and eco-friendly farming to leverage its name to the masses. If you want to send a beautiful bouq to someone special, or simply order some fresh flowers for your own home, CLICK HERE. And when you refer two friends, you’ll earn yourself your own FREE bouq. What’s cool is that you can shop online from a selection of bouquets OR… have a local farmer design a custom arrangement. Flowers are one of the best ways to brighten up someone’s day, so get to shopping with The Bouqs Co. and feel good about supporting a local and sustainable network of farmers. Such beautiful flowers and what a great business idea!